I’d literally like “God is my co-pilot” to come true, let’s grab a runabout and go! Odo, lured to a planet after a message from a presumed dead Cardassian contact, finds Weyoun, who sent the fake message and wants to defect. He’s a new version of the Vorta clone and he apparently doesn’t buy what the Dominion’s doing and wants to serve Odo, who skeptically sees a kindred spirit. Odo proceeds to take Weyoun back to the station before they’re found by Damar and a newer Weyoun, who has no problem with the Dominion’s plans for conquest. The two send the Jem’Hadar after the runabout — knowing that the Founders would object to it being destroyed with Odo on it. 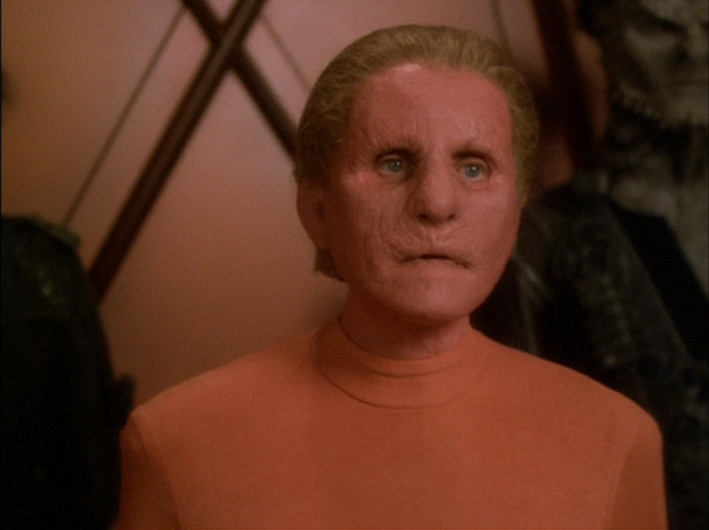 The female Changeling (Salome Jens) appears, and she doesn’t look well (something Damar notices). With the Jem’Hadar closing in, Weyoun tells Odo that he wants to serve Odo in imagined efforts to reframe the Dominion’s thinking. He also tells a shocked Odo that a disease has infected the Great Link, and that all the Founders are dying. After a nifty chase through an asteroid field, the Jem’Hadar close in on the runabout, and Weyoun activates a suicide implant to save Odo, but asks Odo for his blessing as he dies. 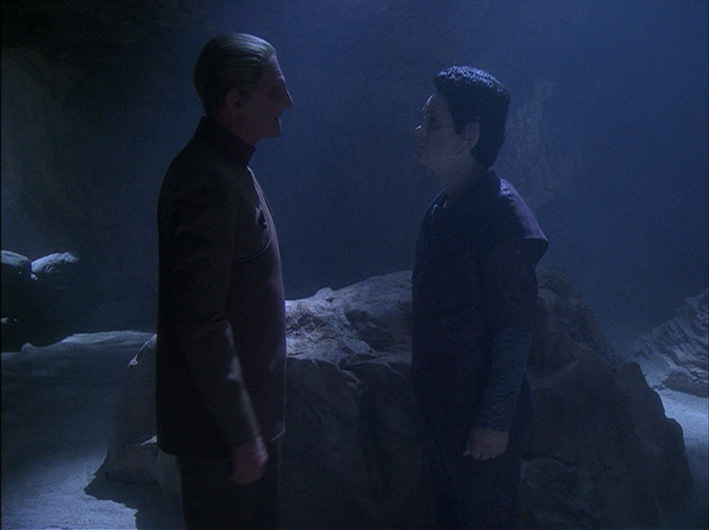 Odo, who’s never embraced the Founders’ preferred role as gods, accommodates Weyoun and returns home — and acknowledges that his people will now be more dangerous than ever. The disease infecting the Great Link has huge implications the rest of the way, as it makes the Founders more desperate and also provides the Federation with leverage to end the war as the series ends. Of course, we learn later that our favorite rogue Starfleet agency is behind the disease, and that Odo was actually the instrument they used to infect the Link when the Founders summoned Odo for judgment back in “Broken Link” (sad trombone). There’s a subtler piece here, too. The idea from good Weyoun that Odo could teach his people not to be all about conquest and control really shows up here in a huge way — and it plays big into Odo’s decisions at the end of the series. Oh, and it was a nice bit of continuity that the Cardassian contact Odo leaves to see was likely the guy we saw in the shadows way back in “Improbable Cause”, as the cave for both meetings appears to be the same. Founder PSA: When you link with someone, you link with everyone they’ve ever linked with as well. Practice safe linking! Well, Odo’s runabout sure takes a pounding from the Jem’Hadar. Seems like the ship should have been blown to pieces with all the shots it took. But this is something Star Trek has always been bad at — the Bad Guys Get Destroyed With One Shot But Good Guys Can Take At Least Six Syndrome. 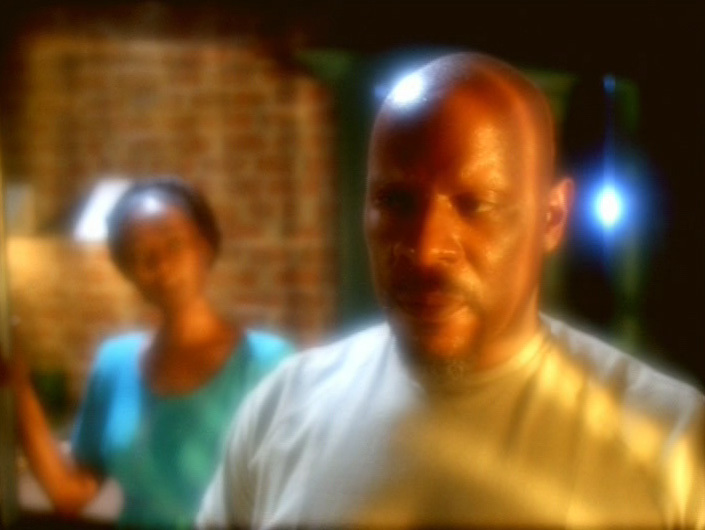 I’ll talk more about the B-plot in a moment, but I don’t really buy Sisko’s obstinacy about forcing O’Brien to make repairs when he doesn’t have the parts. Telling an engineer to get something done in less time than quoted is sort of a Star Trek staple. But it’s not as if O’Brien can wish a gravity net to fall out of the sky. This totally worked when Jake wanted that bas-e-ball card, trust me Chief! 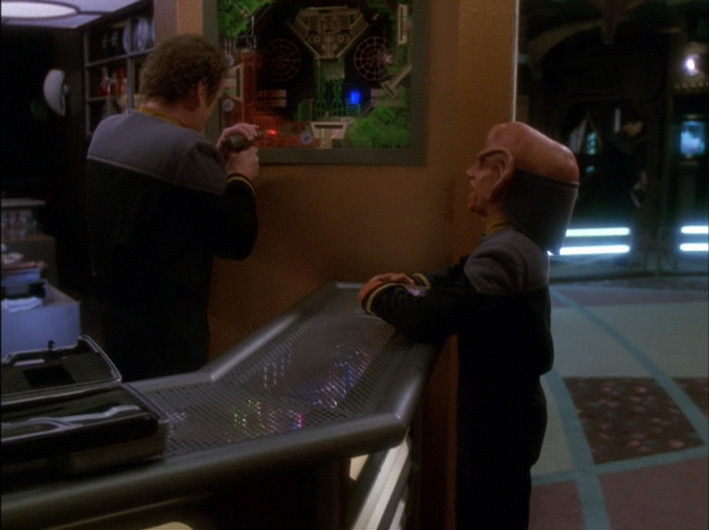 The B-plot is rather pleasant, considering it could have been annoying Ferengi drivel or just some by-the-numbers attempt at levity. Clearly, the B-plot was a way to get many of the regular cast and crew involved in the episode (only Cirroc Lofton gets no love, as he continues down the path of the younger sister on “Family Matters”). 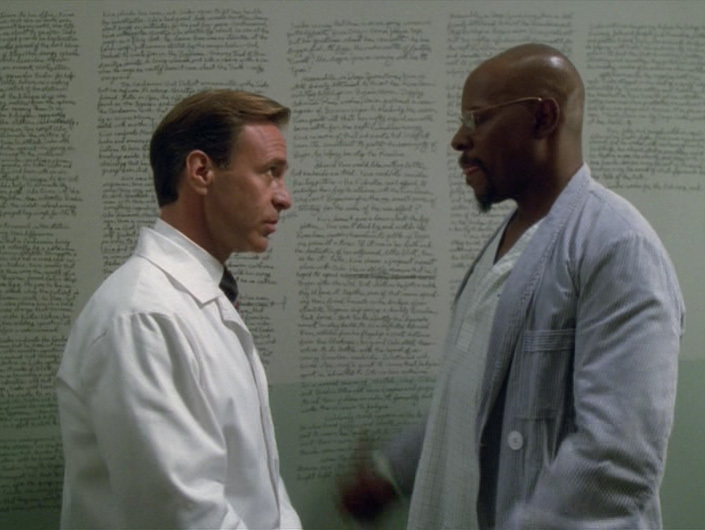 Colm Meaney and Aron Eisenberg really do a nice job, as does Alexander Siddig. Even those Trek fans who don’t like DS9 — and I know there are valid reasons for not liking it — should acknowledge that this was the best overall cast, particularly late in the run. Even regular guest stars like J.G. Hertzler become well-realized characters. In an episode that’s at least half devoted to something fairly inconsequential (like this one) a strong cast goes a long way. More mind-f***ing for Bashir by our buddies at Section 31.